of contractors and professionals surveyed felt the industry was healthy and positioned well for growth. 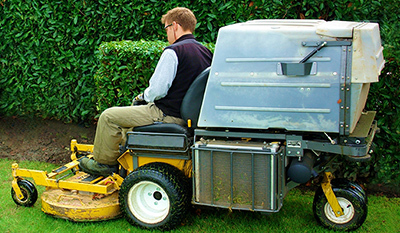 There is currently high demand in both the residential and commercial sectors for landscaping services. Demand for landscaping services has grown signi cantly since 2009 and is expected to continue to see growth in the coming years. In the lawn care industry, it is important to document everything to ensure organization and quality service. Lawn care professionals use forms to document their services and agreements with customers. Having the right forms not only re ects well on a business but also ensures that no disagreements arise between business owners and customers. Having the right forms for your business is important in being professional and organized. Some common types of forms used for documentation purposes are quote forms, maintenance agreements, and service records. My past orders are always rush, and Wise will work with you to make sure they are delivered on time. The quality has always been perfect. Lou SarkozyAllied Printing Co. Inc. Working with Wise is a breeze. Whether it is proposing on a new job, checking status or processing repeat jobs, Wise is right on – and quick to respond. Wise is very quick to quote, acknowledges each order and ships on time. Products are high quality and competitively priced. CSR’s are friendly and helpful. Always have a positive experience when I use this company. I have more than 30 years experience with Wise and they have consistently provided quality products at competitive and consistent pricing with superb customer service. They always do what they say or better. Plus nice people to work with.